The unrecognized nation is hopeful that the deal will encourage the business world to see the investment potential in the region, as companies have been hesitant despite government invitations due to its uncertain political status. Somaliland, the semi-autonomous region in northern Somalia, expects to conclude a project- sharing agreement with Ophir Energy Plc, amid efforts to develop the territory’s potential oil deposits, an official said. The accord is currently being approved by Somaliland’s Council of Ministers and will be followed by the granting of approval to begin seismic surveys, Mining, Energy and Water Resources Minister Hussein Abdi Dualeh said in an interview. “The process should be finalised within a few weeks,” Dualeh said by phone from Hargeisa, the capital, today. Somaliland announced earlier this month that it will abandon efforts to reengage investors who left more than two decades ago at the outbreak of civil war in Somalia. Instead, the region initiated an “open door policy”, inviting potential investors to approach the government about onshore and offshore oil exploration. Tullow Oil Plc (TLW), the London-based explorer with the most licenses in Africa, expressed an interest in a licence and “indicated that they plan to visit Somaliland,” Dualeh said. Tullow officials are due to arrive in the country on Nov. 28 for further talks, he said. Ophir, along with companies including U.K.-based Asante Oil and Prime Resources, hold exploration licenses that have been issued since 2003. Ophir is expected to complete seismic surveys by May 2013, Dualeh said. “Once this is done, we expect to them to go to the next exploration period, which would require Ophir to drill some wells,” he said. Somaliland’s previous attempts to encourage exploration in the region foundered because of perceptions among investors that the country has the same security concerns as Somalia. 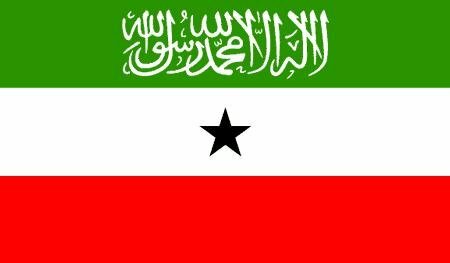 The former British colony declared independence from Somalia in 1991, following the ouster of former Somali dictator Mohammed Siad Barre. No sovereign state has formally recognized the area as independent. Investor concerns about security are misplaced, said Hassan Mohamoud, a spokesman for Asante Oil, which has a staffed office in Hargeisa.